From durable chain-link fencing to decorative wood fencing, Dunnaway Fence LLC, located in Ocean Springs, Mississippi, offers a variety of fence choices for your property. 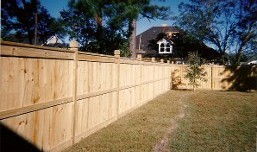 Rely on us to give you the most durable and beautiful results with our fence installation. Or choose a custom design. Request a service from us to choose from a variety of fencing options such as aluminum, wood, or chain-link fencing.